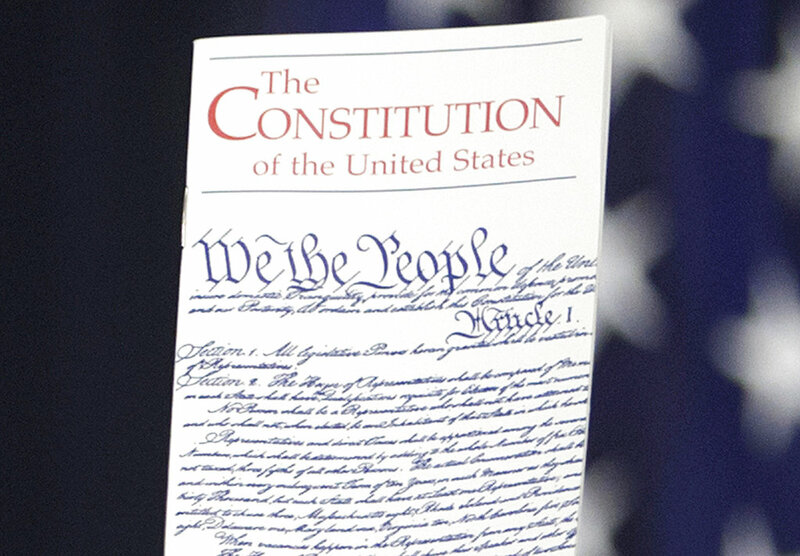 Most scholars – and the Republican House speaker – say the president doesn't have the authority to end a right granted by the 14th Amendment to the U.S. Constitution. WASHINGTON — President Trump is vowing to sign an executive order that would seek to end the right to U.S. citizenship for children born in the United States to noncitizens, a move that most legal experts say would run afoul of the Constitution and that was dismissed Tuesday by the House’s top Republican. “We’re the only country in the world where a person comes in, has a baby, and the baby is essentially a citizen of the United States,” the president said in an interview. In fact, more than 30 countries have similar policies. Leading Democrats and immigrants rights activists blasted Trump’s promise Tuesday. 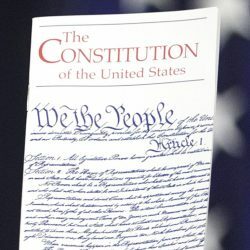 And House Speaker Paul Ryan, R-Wis., also dismissed the idea during a radio interview, saying it is not consistent with the 14th Amendment of the Constitution. Ryan also said that Republicans did not like it when President Barack Obama changed immigration policy by executive action, and that altering the Constitution would be a lengthy process. 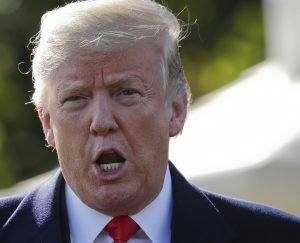 Other Republicans said that while birthright citizenship for children of permanent residents is settled law, there is, as Senate Judiciary Committee Chairman Chuck Grassley of Iowa put it, “a debate among legal scholars about whether that right extends to the children of illegal immigrants.” Grassley added that the issue is one on which Congress, rather than the president, should take the lead. The president often tells aides to craft executive orders – even when his authority is legally dubious. Former White House counsel Donald McGahn and former staff secretary Rob Porter often battled with the president over the orders, telling him they would bring lawsuits, White House advisers said. Still, many White House officials – including Sarah Sanders, the press secretary – were startled when Trump promised such an order Monday evening in the Axios interview, according to current and former White House officials. The idea had not been under active consideration in recent days, the officials said. There were some discussions Tuesday in the West Wing about whether there is any legal standing to limit birthright citizenship. But most officials hope the issue “just goes away,” a White House official said. Congressional leaders and those involved in the midterms were not briefed on any plan before Trump announced it, Republican aides said. Trump’s comments to Axios were cheered Tuesday by some fellow Republicans, including Sen. Lindsey Graham of South Carolina, who has long sought to end birthright citizenship. “This policy is a magnet for illegal immigration, out of the mainstream of the developed world and needs to come to an end,” Graham said, adding that he would introduce legislation toward that goal. Others, including House Minority Leader Nancy Pelosi, D-Calif., called Trump’s promised move an attempt to divert attention from health care, which Democrats have sought to make the leading issue of the elections. “President Trump’s new claim he can unilaterally end the Constitution’s guarantee of citizenship shows Republicans’ spiraling desperation to distract from their assault on Medicare, Medicaid and people with pre-existing conditions,” Pelosi said in statement. Trump’s proposal was also panned by Rep. Mike Coffman of Colorado, one of the most endangered House Republicans in the country. “I hate to break the news to President Trump, but the Supreme Court isn’t going to let him rewrite immigration law by executive fiat, nor should they,” Coffman said Tuesday night. Yet it is unclear how the current Supreme Court would view the issue, a point Vice President Mike Pence underscored in an interview Monday morning with Politico.